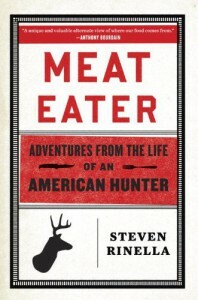 Browsing the “New Books” shelf at the library led me to pick up Meat Eater: Adventures from the Life of an American Hunter by Steven Rinella. I flipped through the pages and saw that at the end of each chapter, there was a section called “Tasting Notes” and one that caught my eye was all about squirrel. I checked it out, but I fully expected I’d read a few bits and return it. Though I do eat meat, I’m not much of a hunter. Luckily, I read the first few pages because I was hooked right away. 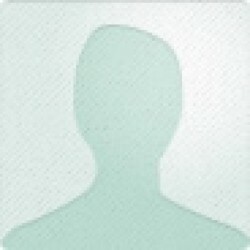 Rinella grew up in Michigan, hunting the woods around his house with his dad and brothers. For a while in his teens, he planned to be a professional fur trapper but the fur economy was not so cooperative. Hunting remained an important part of his life and helped him build strong bonds with his brothers. The reader is brought along on several hunting trips seeking various preys, some successful and some not so much. Along the way there are details about the history and culture of hunting, and anecdotes about Daniel Boone and other early hunters in America. The first sentence is: “This book has a hell of a lot going for it, simply because it’s a hunting story.” And this is true – it is a great book of hunting stories. The writing is descriptive and elegant, and though hunting itself is gritty and elemental, not once did I feel squeamish. In the first chapter, the author approaches the question of why he hunts. He includes two stories – one about a turkey hunt, and one about caribou in Alaska – that he feels answer the question. The book follows a similar format, with stories to illustrate the tactful arguments. But the stories always take center-stage. The author does not shy away from considering the ethics of hunting and its place in today’s world. This is not a book about trophy hunting. There’s careful consideration of what it means to ‘harvest’ meat, and how to get the best use and least waste possible. I think the overall portrayal is one of a thoughtful hunter that clearly respects the environment, the wildlife, and the way of life that hunting provides.